Due to repairs to the heating water and heating water return the hot water and heating water will be temporarily shut down on 10/9 at 9 am through 10/10 at 4 pm while crews work on the hot water system. Facilities anticipate this will impact the SW corner of the building on all floors. For questions or concerns please contact CPFM Facilities Services Plumber Andrew Silvius at 541-654-2926. Due to the installation of isolation valves for steam upgrades the heating water, domestic hot water and industrial hot water will be temporarily unavailable in Pacific Hall on the following dates and times. Work will be performed by Andersen Construction and S2 Contractors. For questions or concerns about how this may affect your area, contact Nick Pritchard CPFM Design and Construction Project Manager 541-346-9139. 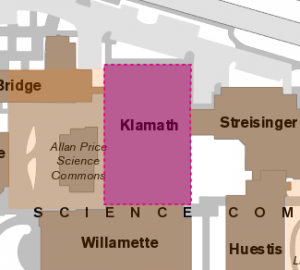 On Saturday, July 1st from 3:30 am to 6:00 am, Klamath Hall’s heating water pumps will be shut off for the entire building. This may cause spaces to be cooler by 10 degrees Fahrenheit if outside temperatures are cool. Also affected during this same time, and isolated to the Klamath basement, the HVAC supply air and chilled water pumps will be shut down. 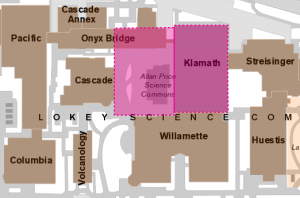 Included in this time frame, the Price Science Commons & Research Library’s normal power will be off, the elevator will be out of service, the data equipment will be off, HVAC supply air will be shut down and all lighting will be off. 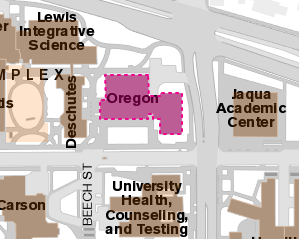 I’ve received reports that a number of McKenzie Hall occupants have experienced warm air flow into their offices today. I’ve learned that events associated with completing the work on the south mechanical room caused air handlers to generate and discharge warm air. I am told by the contractors that the issue has been resolved and any warm air discharge you may experience should be dissipating from the system and conditioned air returning to normal discharge by this afternoon. Thank you for your patience. 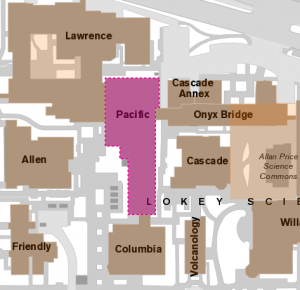 Update: We’ve been informed that work slated for July 13th and 14th during this shutdown period will cause the shutdown of a mechanical unit that could affect McKenzie Hall cooling. 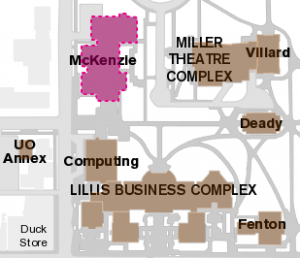 On Wednesday, July 5th until Friday, July 14th, McKenzie Hall’s hot water system will be shut down to remove and reinstall piping in the lower level of the building. This will only effect the hot water in the building. All cold water service will continue, including the air conditioning system. Work will be performed by GBC Contractors and Alliance Systems. For questions or concerns about how this may affect your area, contact Gene Mowery, Campus Planning and Facilities Management (CPFM) Design and Construction at 346-5593. This shutdown has been postponed until Wednesday due to commencement activities. The new dates should read 6/21/17-6/22/17. On Tuesday, June 20th Wednesday, June 21st at 7:00 am until Wednesday, June 21st Thursday, June 22nd at 5:00 pm, 20 pound steam will be shut down in order to replace an 8” expansion joint in the Tunnel. 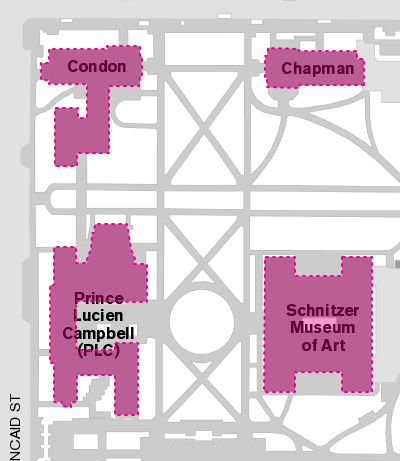 This shutdown will impact Prince Lucien Campbell (PLC) , Jordan Schnitzer Museum of Art, Chapman Hall, and Condon Hall. There will be no building hot water / heat. For questions or concerns about how this may impact your area, contact Mo Soleimani, Campus Planning and Facilities Management (CPFM) Utilities Maintenance Supervisor at 346-2213. 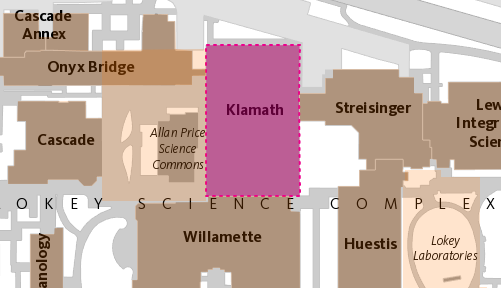 On Monday, March 27th through Thursday, March 30th, 2017, Klamath Hall’s heating water will be turned off. This will affect the entire 2nd floor heating water, which MAY cause the water temperature to decline by 10 degrees F. The work will be performed by a contractor. Spring Break was selected to limit the impact to building occupants. For questions or concerns about how this may affect your services contact Denise Stewart, CPFM Design and Construction Services at 346-2280. Due to the replacement of the third-floor heating water supply and return valves, Huestis will temporarily be without mechanical heating water starting at 6:00 pm on Tuesday, February 7, 2017. This will affect the entire building. Contractors anticipate completing work by 7:00 am on Wednesday, February 8, 2017. This is part of the third-floor lab renovations project. This work was scheduled overnight to limit the impact to building occupants.